Talk of fate! How little one can know what is fated to one another!—what he can do an what he can not do! I doubt whether one can give or receive any pertinent advice. In all important crises one can only consult his genius. Though he were the most shiftless and craziest of mortals, if he still recognizes that he has any genius to consult, none may presume to go between him and her. They, methinks, are poor stuff and creatures of a miserable fate who can be advised and persuaded in very important steps. Show me a man whio consults his genius, and you have shown me a man who cannot be advised. You may know what a thing costs or is worth to you; you can never know what it costs or is worth to me. All the community may scream because one man is born who will not do as it does, who will not conform because conformity to him is death,—he is so constituted. They know nothing about his case; they are fools when they presume to advise him. The man of genius knows what he is aiming at; nobody else knows. And he alone knows when something comes between him and his object. In the course of generations, however, men will excuse you for not doing as they do, if you will bring enough to pass in your own way. He is the rich man and enjoys the fruits of riches, who, summer and winter forever, can find delight in the contemplation of his soul. I could look unweariedly up to that cope as into the heavens of a summer day or a winter night. When I hear this bell ring, I am carried back to years and Sabbaths when I was newer and more innocent. I fear, than now, and it seems to me as if there were a world within a world. Sin, I am sure, is not in overt acts or, indeed, in acts of any kind, but is in proportion to the time which has come behind us and displaced eternity,—that degree to which our elements are mixed with the elements of the world. The whole duty of life is contained in the question how ro respire and aspire both at once. When a man is young and his constitution and his body have not acquired firmness, i.e., before he has arrived at middle age, he is not an assured inhabitant of the earth, and his compensation is that he is not quite earthy, there is something peculiarly tender and divine about him. His sentiments and his weakness, nay, his very sickness and the greater uncertainty of his fate, seem to ally him to a noble race of beings, to whom he in part belongs, or with whom he is in communication. The young man is a demigod;, the grown man, alas! is commonly a mere mortal. He is but half here, he knows not the men of this world, the powers that be. They know him not. Prompted by the reminiscence of that other sphere from which he is so lately arrived, his actions are unintelligible to his seniors. He bathes in light. He is interesting as a stranger from another sphere. He really thinks and talks about a larger sphere of existence than this world. It takes him forty years to accommodate himself to the carapax of this world. This is the age of poetry. Afterward he may be the president of a bank, and go the way of all flesh. But a man of settled views, whose thoughts are few and hardened like his bones, is truly mortal, and his only resource is to say his prayers. The boys have been skating for a week, but I have had no time to skate for surveying. I have hardly realized that there was ice, though I have walked over it about this business. As for the weather, all seasons are pretty much alike to one who is actively at work in the woods. I should say that there were two or three remarkably warm days and as many cold ones in the course of a year, but the reat are all alike in respect to temperature. This is my answer to acquaintances who ask me if I have not found it very cold being out all day. When some rare northern bird like the pine grosbeak is seen thus far south in the winter, he does not suggest poverty, but dazzles us with his beauty. There is in them a warmth akin to the warmth that melts the icicle. Think of these brilliant, warm-colored, and richly warbling birds, birds of paradise, dainty-footed, downy-clad, in the midast of a New England, a Canadian winter. The woods and fields, now somewhat solitary, being deserted by their more tender summer residents, are now frequented by these rich but delicately tinted and hardy northern immigrants of the air. Here is no imperfection to be suggested. The winter, with its snow and ice, is not an evil to be corrected. It is as it was designed and made to be, for the artist has had leisure to add beauty to use. My acquaintances, angels from the north. I had a vision thus prospectively of these birds as I stood in the swamps. I saw this familiar—too familiar—fact at a different angle, and I was charmed and haunted by it. But I could only attain to be thrilled and enchanted, as by the sound of a strain of music dying away. I had seen into paradisaic regions, with the air and sky, and I was no longer wholly or merely a denizen of this vulgar earth. Yet had I hardly a foothold there. I was only sure that I was charmed, and no mistake. It was only necessary to behold thus the least fact or phenomenon, however familiar, from a hair’s breadth aside from our habitual path or routine, to be overcome, enchanted by its beauty and significance. Only what we have touched and worn is trivial,—our scurf, repetition, tradition, conformity. To perceive freshly, with fresh senses, is to be inspired. Great winter itself looked like a precious gem, reflecting rainbow colors from one angle. A gray, overcast, still day, and more small birds—tree sparrows and chickadees—than usual about the house. There have been a very few fine snowflakes falling for many hours, and now by 2 P. M., a regular snow-storm has commenced, fine flakes falling steadily, and rapidly whitening all the landscape. In half an hour the russet earth is painted white even to the horizon. Do we know of any other so silent and sudden a change? I cannot now walk without leaving a track behind me; that is one peculiarity of winter walking. Anybody may follow my trail. I have walked, perhaps, a particular wild path along some swamp-side all summer, and thought to myself, I am the only villager that ever comes here. But I go out shortly after the first snow has fallen, and lo, here is the track of a sportsman and his dog in my secluded path, and probably he preceded me in the summer as well. Yet my hour is not his, and I may never meet him! Standing before Stacy’s large glass windows this morning, I saw that they were gloriously ground by the frost. I never saw such beautiful feather and fir-like frosting. His windows are filled with fancy articles and toys for Christmas and New Year’s presents, but this delicate and graceful outside frosting surpassed them all infinitely. I saw countless feathers with very distinct midribs and fine pinnae. The half of a trunk seemed to rise in each case up along the sash, and these feathers branched off from it all the way, sometimes nearly horizontally. Other crystals looked like pine plumes the size of life. If glass could be ground to look like this, how glorious it would be! If you are afflicted with melancholy at this season, go to the swamp and see the brave spears of skunk-cabbage buds already advanced toward a new year. Their gravestones are not bespoken yet. Who shall be sexton to them? Is it the winter of their discontent? Do they seem to have lain down to die, despairing of skunk cabbagedom? “Up and at ‘em,” Give it to ‘em,” “Excelsior,” “Put it through,”—these are their mottoes. Mortal human creatures must take a little respite in this fall of the year; their spirits do flag a little. There is a little questioning of destiny, and thinking to go like cowards to where the “weary shall be at rest.” But not so with the skunk-cabbage. Its withered leaves fall and are transfixed by a rising bud. Winter and death are ignored; the circle of life is complete. Are these false prophets? Is it a lie or a vain boast underneath the skunk-cabbage bud, pushing it upward and lifting the dead leaves with it? They rest with spears advanced; they rest to shoot! I say it is good for me to be here, slumping in the mud, a trap covered with withered leaves. See those green cabbage buds lifting the dry leaves in that watery and muddy place. There is no can’t nor cant to them. They see over the brow of winter’s hill. They see another summer ahead. Nature now, like an athlete, begins to strip herself in earnest for her contest with her great antagonist, Winter. In the bare trees and twigs what a display of muscle! 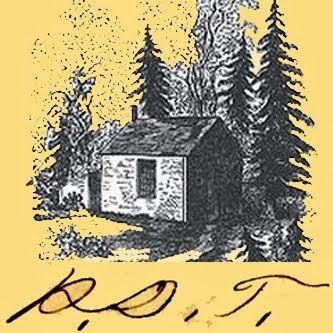 For a year or two past, my publisher, falsely so called, has been writing from time to time to ask what disposition should be made of the copies of "A Week on the Concord and Merrimack Rivers" still on hand, and at last suggesting that he had use for the room they occupied in his cellar. So I had them all sent to me here, and they have arrived to-day by express, filling the man's wagon,—706 copies out of an edition of 1000 which I bought of Munroe four years ago and have ever since been paying for, and have not quite paid for yet. The wares are sent to me at last, and I have an opportunity to examine my purchase. They are something more substantial than fame, as my back knows, which has borne them up two flights of stairs to a place similar to that to which they trace their origin. Of the remaining two hundred and ninety and odd, seventy-five were given away, the rest sold. I have now a library of nearly nine hundred volumes, over seven hundred of which I wrote myself. The obstacles which the heart meets with are like granite blocks which one alone cannot move. She who was as the morning light to me is now neither the morning star nor the evening star. We meet but to find each other further asunder, and the oftener we meet the more rapid our divergence. So a star of the first magnitude pales in the heavens, not from any fault in the observer’s eye nor from any fault in itself, perchance, but because its progress in its own system has put a greater distance between. “The remembrances of youth is a sigh,” etc. It had the word “memory” in it!! And then again the instant that I awoke, methought I was a musical instrument from which I heard a strain die out, a bugle, or a clarionet, or a flute. My body was the organ and channel of melody, as a flute is of the music that is breathed through it. My flesh sounded and vibrated still to the strain, and my nerves were the chords of the lyre. I awoke, therefore, to an infinite regret,—to find myself, not the thoroughfare of glorious and world-stirring inspirations, but a scuttle full of dirt, such a thoroughfare only as the street and the kennel, where, perchance, the wind may sometimes draw forth a strain of music from a straw. This is the coolest day thus far, reminding me that I have only a half-thick coat on. The easterly wind comes cold into my ear, as yet unused to it. Yet this first decided coolness—not to say wintriness—is not only bracing but exhilarating and concentrating [to] our forces. So much the more I have a hearth and heart within me. We step more briskly, and brace ourselves against the winter. Every part of nature teaches that the passing away of one life is the making room for another. The oak dies down to the ground, leaving within its rind a rich virgin mould, which will impart a vigorous life to an infant forest. The pine leaves a sandy and sterile soil, the harder woods a strong and fruitful mould. So this constant abrasion and decay makes the soil of my future growth. As I live now so shall I reap. If I grow pines and birches, my virgin mould will not sustain the oak; but pines or birches, or, perchance, weeds and brambles, will constitute my second growth. Now is the time for chestnuts. A stone cast against the trees shakes them down in showers upon one's head and shoulders. But I cannot excuse myself for using the stone. It is not innocent, it is not just, so to maltreat the tree that feeds us. I am not disturbed by considering that if I thus shorten its life I shall not enjoy its fruit so long, but am prompted to a more innocent course by motives purely of humanity. I sympathize with the tree, yet I heaved a big stone against the trunks like a robber,—not too good to commit murder. I trust that I shall never do it again. These gifts should be accepted, not merely with gentleness, but with a certain humble gratitude. The tree whose fruit we would obtain should not be too rudely shaken even. It is not a time of distress, when a little haste and violence even might be pardoned. It is worse than boorish, it is criminal, to inflict an unnecessary injury on the tree that feeds or shadows us. Old trees are our parents, and our parents’ parents, perchance. If you would learn the secrets of Nature, you must practice more humanity than others. The thought that I was robbing myself by injuring the tree did not occur to me, but I was affected as if I had cast a rock at a sentient being,—with a duller sense than my own, it is true, but yet a distant relation. Behold a man cutting down a tree to come at the fruit! What is the moral of such an act? “What are you doing now?” he asked. “Do you keep a journal?” So I make my first entry to-day. To be alone I find it necessary to escape the present,—I avoid myself. How could I be alone in the Roman emperor’s chamber of mirrors? I seek a garret. The spiders must not be disturbed, nor the floor swept, not the lumber arranged. I had gone but little way on the old Carlisle road when I saw Brooks Clark, who is now about eighty and bent like a bow, hastening along the road, barefooted, as usual, with an axe in his hand; was in haste perhaps on account of the cold wind on his bare feet. It is he who took the Centinel so long. When he got up to me, I saw that besides the axe in one hand, he had his shoes in the other, filled with knurly apples and a dead robin. He stopped and talked with me a few moments; said that we had had a noble autumn and might now expect some cold weather. I asked if he had found the robin dead. No, he said, he found it with its wing broken and killed it. He also added that he had found some apples in the woods, and as he had n't anything to carry them in, he put 'em in his shoes. They were queer-looking trays to carry fruit in. How many he got in along toward the toes, I don't know. I noticed, too, that his pockets were stuffed with them. His old tattered frock coat was hanging in strips about the skirts, as were his pantaloons about his naked feet. He appeared to have been out on a scout this gusty afternoon, to see what he could find, as the youngest boy might. It pleased me to see this cheery old man, with such a feeble hold on life, bent almost double, thus enjoying the evening of his days. Far be it from me to call it avarice or penury, this childlike delight in finding something in the woods or fields and carrying it home in the October evening, as a trophy to be added to his winter's store. Oh, no; he was happy to be Nature's pensioner still, and birdlike to pick up his living. Better his robin than your turkey, his shoes full of apples than your barrels full; they will be sweeter and suggest a better tale. He can afford to tell how he got them, and we to listen. There is an old wife, too, at home, to share them and hear how they were obtained. Like an old squirrel shuffling to his hole with a nut. Far less pleasing to me the loaded wain, more suggestive of avarice and of spiritual penury. Some eighteen hundred years ago Christ was crucified; this morning, perhaps, John Brown was hung. These are the two ends of a chain which I rejoice to know is not without its links. 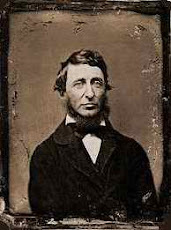 The Republican editors, obliged to get their sentences ready for the morning edition,—and their dinner ready before afternoon,—speak of these men, not in a tone of admiration for their disinterestedness and heroism, not of sorrow even for their fate, but calling them “deluded fanatics,” “mistaken men,” “insane,” or “crazed.” Did it ever occur to you that a sane set of editors we are blessed with?—not “mistaken men;” who know very well on which side their bread is buttered! Men commonly exaggerate the theme. Some themes they think are significant and others insignificant. I feel that my life is very homely, my pleasures very cheap. Joy and sorrow, success and failure, grandeur and meanness, and indeed most words in the English language do not mean for me what they do for my neighbors. I see that my neighbors look with compassion on me, that they think it is a mean and unfortunate destiny which makes me to walk in these fields and woods so much and sail on this river alone. But as long as I find here the only real elysium, I cannot hesitate in my choice. My work is writing, and I do not hesitate, though I know that no subject is too trivial for me, tried by ordinary standards; for, ye fools, the theme is nothing, the life is everything. All that interests the reader is the depth and intensity of the life excited. We touch our subject but by a point which has no breadth, but the pyramid of our experience, or our interest in it, rests on us by a broader or narrower base. That is, man is all in all. Nature nothing, but as she draws him out and reflects him. Give me simple, cheap, and homely themes. The trainees are out with their band of music, and I find my account in it, though I have not subscribed for it. I am walking with a hill between me and the soldiers. I think, perhaps, it will be worth the while to keep within hearing of these strains this afternoon. Yet I hesitate. I am wont to find music unprofitable; it is a luxury. It is surprising, however, that so few habitually intoxicate themselves with music, so many with alcohol. I think, perchance, I may risk it, it will whet my senses so; it will reveal a glory where none was seen before. It is remarkable that men too must dress in bright colors and march to music once in the year. Nature, too, assumes her bright hues now, and think you a subtile music may not be heard amid the hills? No doubt these strains do sometimes suggest to Abner, walking behind in his red-streaked pants, an ideal which he had lost sight of, or never perceived. It is remarkable that our institutions can stand before music, it is so revolutionary. Talk about learning our letters and being literate! Why, the roots of letters are things. Natural objects and phenomena are the original symbols or types which express our thoughts and feelings, and yet American scholars, having little or no root in the soil, commonly strive with all their might to confine themselves to the imported symbols alone. All the true growth and experience, the living speech, they would fain reject as “Americanisms.” It is the old error, which the church, the state, the school ever commit, choosing darkness rather than light, holding fast to the old and to tradition. A more intimate knowledge, a deeper experience, will surely originate a word. When I really know that our river pursues a serpentine course to the Merrimack, shall I continue to describe it by referring to some other river no older than itself which is like it, and call it a meander? It is no more meandering than the Meander is musketaquidding. As well sing of the nightingale here as the Meander. What if there were a tariff on words, on language, for the encouragement of home manufacturers? Have we not the genius to coin our own? Let the schoolmaster distinguish the true from the counterfeit. Each town should have a park, or rather a primitive forest, of five hundred or a thousand acres, where a stick should never be cut for fuel, a common possession forever, for instruction and recreation. We hear of cow commons and ministerial lots, but we want men-commons and lay lots, inalienable forever. Let us keep the New World new, preserve all the advantages of living in the country. There is meadow nad pasture and wood-lot for the town’s poor. Why not a forest and huckleberry field for the town’s rich? 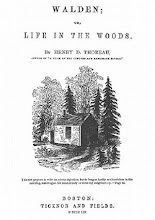 All Walden Wood might have been preserved for our park forever, with Walden in its midst, and the Easterbrooks Country, an unoccupied area of some four square miles, might have been our huckleberry-field. If any owners of these tracts are about to leave the world without natural heirs who need or deserve to be specially remembered, they will do wisely to abandon their possession to all, and not will them to some individual who perhaps has enough already. As some give to Harvard College or another institution, why might not another give a forest or huckleberry-field to Concord? A town is an institution which deserves to be remembered. We boast of our system of education, but why stop at schoolmasters and schoolhouses? We are all schoolmasters, and our schoolhouse is the universe. To attend chiefly to the desk or schoolhouse while we neglect the scenery in which it is placed is absurd. If we do not look out we shall find our fine schoolhouse standing in a cow-yard at last. It is indeed a golden autumn. These ten days are enough to make the reputation of any climate. A tradition of these days might be handed down to posterity. They deserve a notice in history, in the history of Concord. All kinds of crudities have a chance to get ripe this year. Was there ever such an autumn? And yet there was never such a panic and hard times in the commercial world. The merchants and banks are suspending and failing all the country over, but not the sand-banks, solid and warm, and streaked with blackberry vines. You may run upon them as much as you please,—even as the crickets do, and find their account in it. They are the stockholders in these banks, and I hear them creaking their content. You may see them on change any warmer hour. In these banks, too, and such as these, are my funds deposited, a fund of health and enjoyment. Their (the crickets) prosperity and happiness and, I trust, mine do not depend on whether the New York banks suspend or no. We do not rely on such a slender security as the thin paper of the Suffolk Bank. To put your trust in such a bank is to be swallowed up and undergo suffocation. Invest, I say, in these country banks. Let your capital be simplicity and contentment. Withered goldenrod (Solidago nemoralis) is no failure, like a broken bank, and yet in its most golden season, nobody counterfeits it. Nature needs no counterfeit detector. I have no compassion for, nor sympathy with, this miserable state of things. Banks built of granite, after some Grecian or Roman style, with their porticoes and their safes of iron, are not so permanent, and cannot give me so good security for capital invested in them, as the heads of weathered hardhack in the meadow. I do not suspect the solvency of these. I know who is their president and cashier. The Great Fields from this hill are pale-brown, often hoary—there is not yellow enough for russet pastures, with very large red or purple patches of blackberry vines. You can only appreciate the effect of these by a strong and peculiar intention of the eye. We ordinarily do not see what is before us, but what our prejudices presume to be there. I land at Pinxter Swamp. The leaves of the azaleas are falling, mostly fallen, and revealing the large blossom-buds, so prepared are they for another year. With man all is uncertainty. He does not look forwardly to another spring. But examine the root of the savory-leaved aster, and you will find the new shoots, fair purple shoots, which are to curve upward and bear the next year’s flowers, already grown half an inch or more in earth. Nature is confident. Farrar thought that the spirit manufactured a century ago was not so adulterated and poisonous as that now made. He could remember when delirium tremens was very rare. There was Luke Dodge; he could remember him a drunkard for more than forty years, yet he was now between eighty and ninety. Genius is inspired by its own works; it is hermaphroditic. It has come to this,—that the lover of art is one, and the lover of nature another, though true art is but the expression of our love of nature. It is monstrous when one cares but little about trees but much about Corinthian columns, and yet this is exceedingly common. In the forenoon commonly I see nature only through a window; in the afternoon my study or apartment in which I sit is a vale. One wonders that the tithing-men and fathers of the town are not out to see what the trees mean by their high colors and exuberance of spirits, fearing that some mischief is brewing. I do not see what the Puritans did at that season when the maples blazed out in scarlet. They certainly could not have worshipped in groves then. Perhaps that is what they built meeting-houses and surrounded them with horse-sheds for. Think what a change, unperceived by many, has within a month come over the landscape! Then the general, the universal, hue was green. Now see those brilliant scarlet and glowing yellow trees in the lowlands a mile off! I see them, too, here and there on the sides of hills, standing out distinct, mere bright and squads perchance, often in long broken lines, and so apparently elevated by their distinct color that they seem arranged like the remnants of a morning mist just retreating in a broken line along the hillsides. Or see that crowd in the swamp half a mile through, all vying one another, a blaze of glory. See those crimson patches far away on the hillsides, like dense flocks of crimson sheep, where the huckleberry reminds of recent excursions. See those patches of rich brown in the low grounds, where the ferns stand shriveled. See the greenish-yellow phalanxes of birches, and the crisped yellowish elm-tops here and there. We are not prepared to believe that the earth is now so parti-colored, and would present to a bird’s eye such distinct masses of bright yellow. A great painter is at work. The very pumpkins yellowing in the fields become a feature in the landscape, and thus they have shone, maybe, for a thousand years here. It is well to find your employment and amusement in simple and homely things. These wear best and yield most. I think I would rather watch the motions of these cows in their pasture for a day, which I see now headed all one way and slowly advancing,—watch them and project their course carefully on a chart, and report all their behavior faithfully,—than wander to Europe or Asia and watch other motions there; for it is only ourselves that we report in either case, and perchance we shall report a more restless and worthless self in the latter case than in the first. It is only when we forget all our learning that we begin to know. I do not get nearer by a hair’s breadth to any natural object so long as I presume that I have an introduction to it from some learned man. To conceive of it with a total apprehension I must for the thousandth time approach it as something totally strange. If you would make acquaintance with the ferns you must forget your botany. It is somewhat cooler and more autumnal. A great many leaves have fallen and the trees begin to look thin. You incline to sit in a sunny and sheltered place. This season, the fall, which we have now entered on, commenced, I may say, as long ago as when the first frost was seen and felt in low ground in August. From that time, even, the year has been gradually winding up its accounts. Cold, methinks, has been the great agent which has checked the growth of plants, condensed their energies, and caused their fruits to ripen, in September especially. Perchance man never ripens within the tropics. A dark and windy night the last. It is a new value when darkness amounts to something positive. Each morning now, after rain and wind, is fresher and cooler, and leaves still green reflect a brighter sheen. 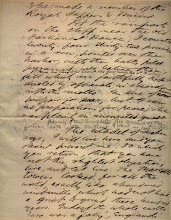 Minott told me yesterday that he had never seen the seashore but once, and that was Noddle’s Island in the War of 1812. The garden is alive with migrating sparrows these mornings. The cat comes in from an early walk amid the weeds. She is full of sparrows and wants no more breakfast this morning, unless it be a saucer of milk, the dear creature. I saw her studying ornithology between the corn-rows. The cat sleeps on her head! What does this portend? It is more alarming than a dozen comets. How long prejudice survives! The big-bodied fisherman asks me doubtingly about the comet seen these nights in the northwest,—if there is any danger to be apprehended from that side! I would fain suggest that only he is dangerous to himself. From our tent here on the hillside, through that isosceles door, I see our lonely mast on the shore, it may be as an eternity fixture, to be seen in landscapes henceforth, or as the most temporary standstill of time, the boat just come to anchor, and the mast still rocking to find its balance. No human life is in night,—the woods, the boat, the shore,—yet is it lifelike. The warm pulse of a young life beats steadily underneath all. This slight wind is where one artery approaches the surface and is skin deep. We begin to have an interest in sun, moon, and stars. What time riseth Orion? Which side the pole gropeth the bear? East, West, North, and South,—where are they? What clock shall tell the hours for us?—Billerica, midnight. How happens it that we reverence the stones which fall from another planet, and not the stones which belong to this,—another globe, not this,—heaven, and not earth? Are not the stones in Hodge’s wall as good as the aerolite at Mecca? Is not our broad back-door-stone as good as any corner-stone in heaven? It would imply the regeneration of mankind, if they were to become elevated enough to truly worship stocks and stones. It is the sentiment of fear and slavery and habit which makes a heathenish idolatry. Such idolaters abound in all countries, and heathen cross the seas to reform heathens, dead to bury the dead, and all go down to the pit together. If I could, I would worship the parings of my nails. If he who makes two blades of grass grow where one grew before is a benefactor, he who discovers two gods where there was only known the one (and such a one! )_ before is a still greater benefactor. I would fain improve every opportunity to wonder and worship, as a sunflower welcomes the light. The more thrilling, wonderful, divine objects I behold in a day, the more expanded and immortal I become. If a stone appeals to me and elevates me, tells me how many miles I have come, how many remain to travel,—and to the more, the better,— reveals the future to me in some measure, it is a matter of private rejoicing. If it did the same service to all, it might well be a matter of public rejoicing. Almost the very sands confess the ripening influence of the August sun, and me thinks, with the slender grasses waving over them, reflect a purple tinge. The empurpled sands. Such is the consequence of all this sunshine absorbed into the pores of plants and of the earth. All sap or blood is wine-colored. The very bare sands, methinks, yield a purple reflection. At last we have not only the purple sea, but the purple land. I omit the usual—the hurricanes and earthquakes—and describe the common. This has the greatest charm and is the true theme of poetry. You may have the extraordinary for your province, if you will let me have the ordinary. Give me the obscure life, the cottage of the poor and humble, the workdays of the world, the barren fields, the smallest share of all things but poetic perception. Give me but the eyes to see the things which you possess.